Looking for a great snack/breakfast which is healthy, fast to prepare and kid-friendly. Then this post is something to check out. S is not a great fan of Poha in upma style(which by the way happens to be my fav). So I try and sneak poha in dosas, cutlets and such. This is yet another experiment which was very much appreciated at home. I made these without adding chillies and ginger for the kids and they loved them with ketchup. I made mini uthappams specifically for the kids. They were so cute that I decided those would be the pictures to be posted here! *These uthappams taste awesome even without Quinoa. * Any choice of veggies can be used. I just happened to use whatever was readily available at home. Roast oats and quinoa until they are golden brown. Grind them to a coarse powder upon cooling. Wash poha/rice flakes/atukulu and mix it with buttermilk and mix well without lumps. Add the oats-quinoa powder to the poha-buttermilk mixture and mix well without any lumps. Add the chopped onions, tomatoes, green chillies, ginger paste, grated carrot, salt and chopped coriander leaves. Ensure the batter is like uthappam batter. In a heated tawa/griddle, pour ladle full of batter and gently spread it around in a circle. Drizzle the edges with oil if preferred. Cook on both sides and remove onto a serving plate. Continue for the rest of the batter or until desired. Serve with tomato ketchup or chutney of your choice. 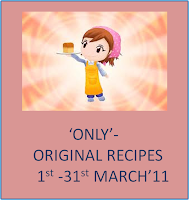 Sending it to Pari's "Only - Original Recipes" hosted by Nivedita. Dahi Papdi Chaat is one of the many street foods which we all miss here. I agree it is not all that difficult to fix it at home, but the taste of the street food is just different, don't you all think? Anyway, the typical dahi papdi is a little different from what I ended up making. But as usual, I like to make it as healthy as possible and give it some unusual twist. It would have been the typical Chaat had I used just boiled alu, boiled chick peas (Chana) and the typical chutneys. So here is my take on this typical Mumbai street food!! Mix all the ingredients except water (and oil too of course) and knead into a stiff dough adding as much water as required. Poke the circles with a fork to avoid the puris puffing up. Meanwhile, heat oil in a kadai/wok and gently drop these cut out puris and fry them until done. It is a good idea to fry them one by one too if required. Drain the crispy puris onto paper towels to drain. The left over puris can be stored in an air tight container for later use. (I didn't have to as they vanished before I could store them! Boil all the veggies except onion and tomato and drain the water if any. In a heated sauce pan, add oil and saute onions until they brown a little and add in the tomatoes. After the tomatoes turn mushy, add the boiled veggies and mix in some salt, garam masala and mirchi powder to taste. Remove from fire and let it cool. In a serving plate, arrange the puris and top each puri with a spoonful of the curry, and a spoonful of curd. Sprinkle some sev and chat masala and ready 1, 2, 3 gulp it down ..And the plate full of papdi chaat will disappear!! Sending this chaat to Naina's 'Flavors of Maharashtra' happening at PJ's space. If you are a regular reader of this space, you know that we have a whole troop of Alu fans around here! So I am forced to make something interesting with Alu all the time. I try to bring variety to the Alu kurma each time I prepare and so when I saw this recipe in Priya's space, I bookmarked it and made it almost like the original. Whatever tweaks I did was to accommodate my family's taste! In a heated sauce pan, add oil and the rest of the seasoning. After the fennel seeds brown a little, add onion and saute until brown. Add chopped tomatoes and cook until mushy. Make a fine paste of the ingredients listed under 'To Grind" and add it to the mix. After the raw smell goes away, add turmeric, the chopped potatoes and cover with a lid adding as much water as is needed (about 1-2 cups). Remove from fire, after the potatoes are cooked and garnish with chopped coriander leaves. Sending this to Aipi and Priya's "Bookmarked Recipes". Preparation of breakfast is an eternal struggle for me and I guess for many of you too, right? So I keep exploring all possible options. Breakfast being a very important meal of the day, I tend to look for high protein options and end up making dosa/idli/upma in different combinations. One such combination happened to be Semiya Uthappam. I had read about Semiya Uthappam long time back in a magazine but never attempted as it was nestled in my forgotten folders. 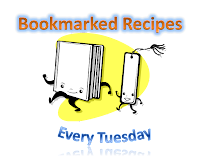 Few days back when I read this post, I suddenly remembered that I had jotted this recipe and went back and looked for it and found that both the recipes were more or less the same. Thats when I decided that I would make this for breakfast and here I am with the details. In a bowl, mix semiya, rice flour and beaten yogurt and set aside for about 20-30 min. Meanwhile assemble the chopped vegetables, spices and herbs. Mix these with the semiya-rice flour mixture. The batter should be of Uthappam batter consistency. On a hot tawa/griddle spread ladle full of batter into as thin a circle as possible and spray a little oil if needed (I don't use oil for dosa/uthappam as I use a non-stick tawa). Continue with the rest of the batter and make as many uthappams as possible. Sending these uthappams to Suma's 'Cooking With Seeds - Wheat' . On another note, I am proud to display the CD art by my kids (ages 9 and 3). While I was busy in the kitchen preparing dinner on a weekend, my kids gave me a surprise!! Amongst one of our favorites in parathas is Methi Paratha. These healthy parathas surely feature on our dinner table as often as I can get fresh methi leaves. I also make these by adding Kasoori methi, but the taste isn't the same, right? So here is the version we all enjoy with a dollop of curds/yogurt or a choice of gravy curry (Seen in the picture is Malai kofta which will be posted soon ..until then drool over the pictures :) )! In a sauce pan, add a teaspoon of oil and saute the methi leaves until tender. Add in the masala powder, dhania-jeera powder, chat masala and ginger paste. In a mixing bowl, add the wheat flour and the sauteed ingredients and knead well with as much water as possible. Make about 12 equal portions of the dough, roll out rotis and cook on both sides on a hot griddle/tava spraying oil as needed. Continue for the rest of the dough. I like to store them in an insulated container and serve them warm! Sending them to Suma's 'Cooking With Seeds - Wheat' . Thapila Dosa (Thapila=Vessel, Dosa=Crepes) is originally a traditional recipe from my maternal side. But I have prepared it in an unconventional method, so to say, following my mom's footsteps. I have many memories associated with this particular variety of dosa. Therefore this is very close to my heart and I was so excited to be making this almost for the first time in my life! As per my mom, traditionally this is prepared like a 1 inch thick uthappam in a brass pan specially made for this. In the early 1970's when my mom first learnt the basics of baking, she had purchased an Aluminium Bundt Pan with a lid (used on the stove top) and used to bake cakes. It was my mom who started baking this particular dosa as against the conventional method. I remember my mom pouring lot of oil resulting in crispy crusts. Needless to say she was a witness to battles at home for the crispy crust!! Last summer when I visited India, I asked my mom if she could pass on that 'pan' to me. Unfortunately, owing to 'empty nest syndrome', she has donated it to some flood victims. Pch..I was so disappointed that I couldn't get even a picture of that pan! Anyway since it resembles our bundt pan, I gladly bought one and baked a few cakes too. Make a coarse powder of rice, chana dal, urad dal and jeera. (I had to sieve it multiple times to get the right sized grain). Soak the coarsely powdered rice mixture in thin buttermilk overnite or atleast 6-7 hrs keeping in a warm place. This is to aid fermentation. Add the chopped onions, grated ginger, salt, curry leaves and coriander leaves to the soaked batter. The batter should be a little thick barely pour-able, so to say. (Like Uthappam batter). Preheat the oven to 350F. Prepare a bundt pan by greasing it with oil. Pour the batter in the bundt pan and top it off with a tablespoon of oil. Bake it for 30-35 min or until the sides brown and the top looks done. Let it cool in the pan for a few min and then slowly run a knife through the edges and loosen the cake and invert it onto a cooling rack. Slice and enjoy with a choice of chutney. Heat a thick bottomed pan which is at least 1 inch deep and drizzle oil as needed. Pour batter to 3/4 - 1 inch height and cover. Reduce the heat to low-medium and let it cook for about 10-15 min and make sure it doesn't get burnt. Once the bottom is nice and brown, flip it and let it cook for another minute or two. Remove from fire and serve it hot with chutney. Bundling up my memories and sending them to Gayatri's "Walking down the memory Lane". After successfully baking Chocolate Chip Cookies with All Purpose Flour (Maida), I had a nagging feeling of guilt that such tasty treats had to be made with Maida. So I was looking for some whole wheat flour options when I came across this recipe. As the kids were pestering me for more chocolate chip cookies, I took this route of whole wheat flour with the addition of apple sauce. The kids and their friends sure loved this version too and so this would now replace the other version! Here is how I baked these cookies this time around.. In a mixing bowl, combine hot water, sugar, butter, applesauce and vanilla extract. Mix well so that the sugar melts. In another mixing bowl, whisk the wheat flour, baking soda and salt. Slowly add the flour mixture to the liquid mixture stirring slowly to form a stiff dough. Fold in the chocolate chips. Preheat the oven to 350F and prepare the cookie trays by lining with parchment paper. Pinch a small lime sized portion of the dough and press between your palms to make discs about 1 1/2 inch in diameter (Or whatever size suits you). Alternatively scoop a tablespoon of dough onto the cookie tray and gently flatten them. Arrange the discs on a lined baking sheet at least an inch apart. Bake for 8-10 min or until they are slightly brown. Sending these yummy cookies to Suma's 'Cooking With Seeds - Wheat' . 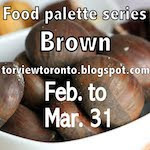 Also Linking to Torviewtoronto's 'Food Pallette Series - Brown'. I have used Oats in breakfast recipes and some sweets before. This sure made me feel comfortable about making halwa out of oats and as an after thought added apple too. After I made the halwa, I changed my mind and made laddus out of them. If you like the chewy and soft feel of oats in your mouth with the crunch of nuts, then these laddus are the right fit for the description. The kids loved them as I made different shapes to suit their preferences! As per the menu I created for the Design A Menu event happening in 'Tamalapaku', I submit these laddus to the same. Roast the oats until they get a golden brown hue. Grind them upon cooling. Also dry roast the almonds and keep aside. In a heated sauce pan (I used a non-stick pan), add 1 tsp ghee and fry the grated apple for a couple min. Add in the coarsely ground oats, milk and sugar. Keep stirring the mixture adding few drops of ghee as necessary to keep it from sticking to the pan. I had to be on the job for about 15 min or so. Sprinkle cardamom powder and mix well for a couple of mins and remove from fire. Chop the roasted almonds into small bits and garnish if you wish to. I had different ideas :) I made laddus out of this halwa. Here is what I did.. Pinch a small portion of halwa, knead well between the palms of your hand and put in a few chopped almond bits and roll into a ball and keep aside. Repeat for the rest of the halwa and garnish with some almond powder. Torviewtoronto's 'Food Pallette Series - Brown'. I had these Lima Beans as part of a gift from Hurst beans sitting in my pantry for quite some time now and I was also getting a little restless for not having used them in my cooking yet. So on an occasion when my refrigerator was near empty, I soaked these beans thinking I would come up with something for dinner. After looking at a lot of options, I decided to go for this kurma with a mixture of all nuts n seeds I could lay my hands on :) My 9 year old loved this kurma with rotis so much (I think she mixed it with a little yogurt) that I had to save it for her to eat 2 days in a row! That in itself is very flattering, don't you think? Tip to get rid of hiccups - Talking about my 9 year old, she was getting hiccups very badly one night and she was getting frustrated and irritated too. Who won't, right? We had exhausted all methods we knew like eating a little sugar, gulping water, diverting attention suddenly, just to name a few :) Thats when my MIL's tip came to my mind, asking her to chew on a few (a pinch) cumin seeds (jeera/jilakara). Guess what? her hiccups vanished as if by miracle! I tried this a few more times to make sure it works all the time and sure it did for us. So try this harmless method to get rid of hiccups. If it works for us it could work for you too. Lets move on to the recipe, shall we? Soak the Lima Beans for about 6-7 hrs, drain and wash them well. Pressure cook the soaked and drained lima beans with adequate water. In a heated sauce pan, spray a little oil, and saute the onions until they are golden brown and transfer into a plate to cool. Make a paste of all the items listed under 'To Grind'. Also add sauteed onions and tomatoes to make a fine paste. In the sauce pan, add oil and the rest of the seasoning ingredients. After the jeera is lightly brown, add the masala paste and let it cook for about 3-4 min until the raw taste is gone. Add the boiled lima beans and mix well. Add the masala powders and adjust the flavors as desired. Garnish with coriander leaves and serve with Roti/Rice. Sending this curry to Susan's "MLLA-33" happening at Ammalu's Kitchen. 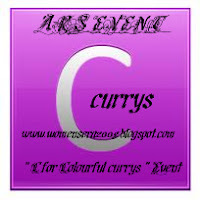 Also to ' C for Colourful Currys' hosted by Charitha. 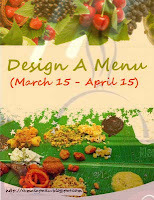 Design A Menu ~ First Event Announcement! !